early years centre that opened in Term 2, 2018. This state-of-the-art new kindergarten is co-located with St Anthony's Primary School. At the heart of this facility is the belief that each child is a competent learner from birth. 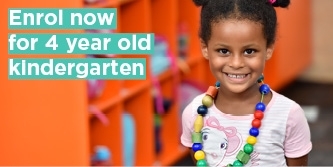 The kindergarten’s team of nurturing and experienced educators will deliver high quality and inclusive three and four-year-old kindergarten programs that help each child realise their potential. Educators will partner with you – your child’s most important educator – to develop a play-based learning program that encourages your child to expand their emerging interests and abilities through planned and spontaneous learning experiences. In turn, your child will develop vital social, emotional, physical, language and cognitive skills. Even more importantly, educators will ensure your child is safe, secure and happy while in our centre. 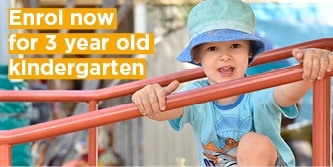 Alfred Street Early Learning Centre is a secular kindergarten offering high-quality early childhood education to all children in the Noble Park Community. Valuable shared learning experiences with the children at the co-located St Anthony’s Primary School, making transitions to school seamless. To complete an enrolment application for Alfred Street Early Learning Centre, please select one of the following two options. Play is the best way for children to learn. That's why at Alfred Street Early Learning Centre, your child's learning program will incorporate a variety of open-ended and structured play-based learning experiences. Activities will be guided by your child's interests and capabilities, ensuring your child gets the most out of their early learning experience.